Looking for something to do this weekend? 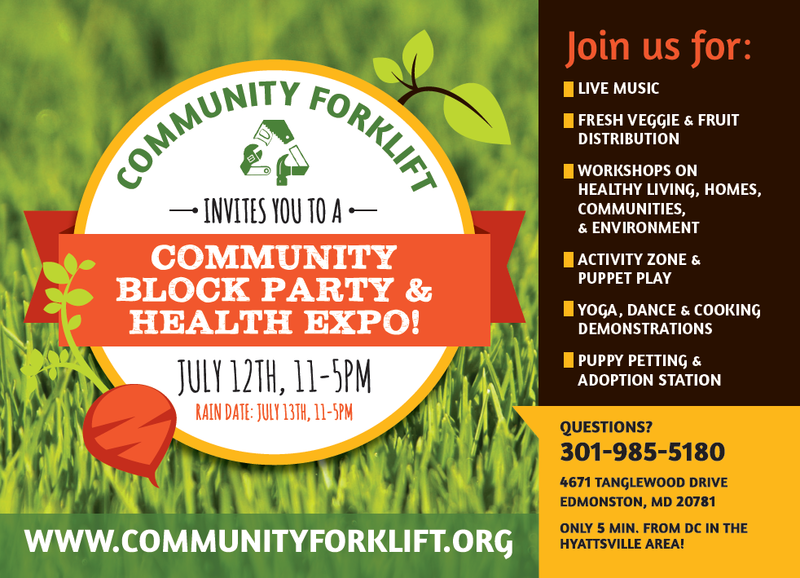 Not only do we have our Cheverly Community Market from 8-noon, the Community Forklift is hosting their community block party and health expo. A short 2.8 mile drive from Cheverly, the Community Forklift is known as a “thrift store for house parts” and its been on my to do list now since talking to someone about it a few months ago. I have a sneaky suspicion that Community Forklift will soon become “one of my favorite things” after this block party tomorrow. Have a great weekend friends and enjoy your slurpee’s today. ps- Are any of my readers shoppers at the Forklift? If so, we’d love to hear more from you in our comment section. Previous Post Happy Birthday to our Cheverly 7-11!